The movie The Dilemma: trailer, clips, photos, soundtrack, news and much more! The Dilemma – She’s enthusiastic! 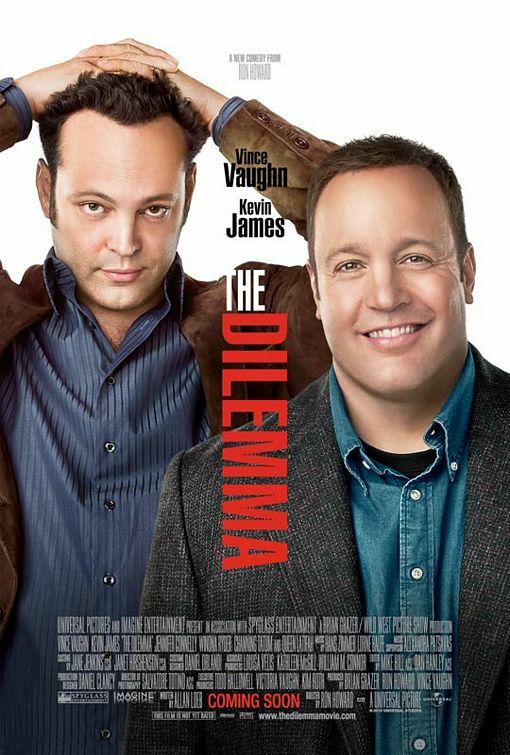 Directed by Ron Howard, the Dilemma movie is starring Vince Vaughn, Kevin James, Jennifer Connelly, Winona Ryder, Channing Tatum, and Queen Latifah. 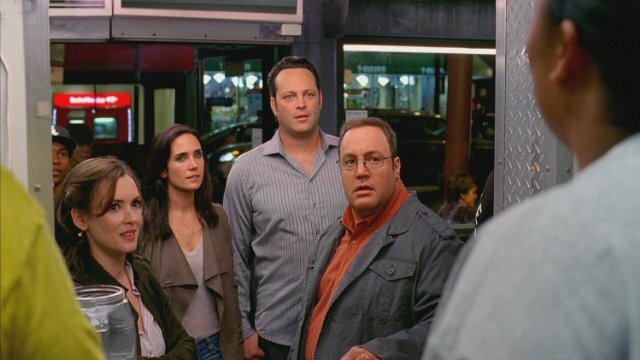 The film is starring Vince Vaughn, Kevin James, Jennifer Connelly, Winona Ryder, Channing Tatum, and Queen Latifah. Marriage just make life more complicated, even for your friends! 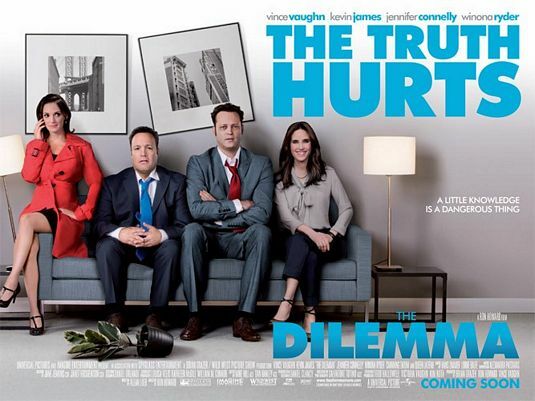 The Dilemma will open in theaters on January 11, 2011.